Effective November 1, 2016, any shipment received at an Amazon fulfillment center without box content information is subject to a fee by Amazon. To make your life easier, InventoryLab has built the option to provide this information right into your Workflow! If you would like to know how to use this feature with a barcode scanner, visit our Box Content Scanning – Live Workflow article. 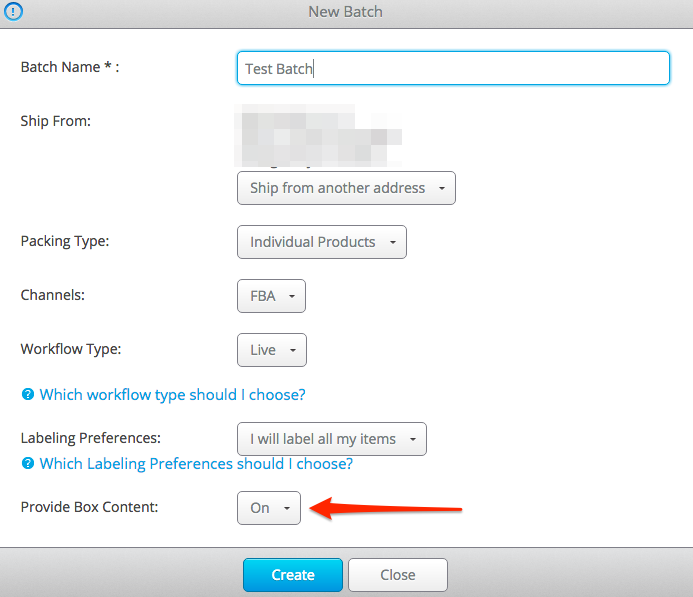 When you first create your batch, Make sure you have the PROVIDE BOX CONTENT dropdown set to ON. 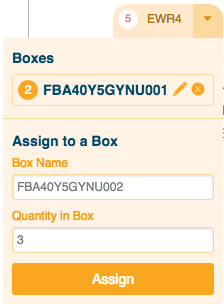 As you add items to your batch and receive warehouse assignments, you will be able to assign your items to a box by clicking the arrow next to each fulfillment center. Simply choose the box name you would like to put your product in, and the quantity you’d like to fit into the box. Repeat for every item in your batch. Box names are auto generated to best line up with Seller Central for ease of use between the programs. We highly advise not attempting to alter the numerical order of them at this time. 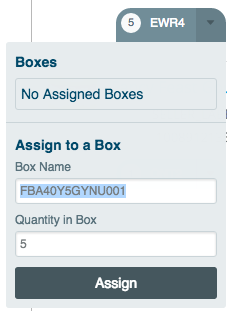 A gray box means you have not assigned any quantities of that item to a box yet. An orange box means you have assigned some of the quantity, but not all of the expected quantities, to boxes yet. 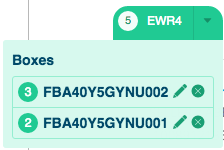 In the image below, there are 5 total of the item that need to be assigned, but only 2 have been assigned to box ending in U001 – so 3 are still left to be assigned to a box. A green box means all quantities for that MSKU, to that fulfillment center, have been successfully assigned to a box. *If you need to make changes to MSKU quantities during this stage, follow the steps in this article.